Whoaaaaa. Hold on tight. This is going to be a bumpy ride! Actually not really. It will be smooth is Yak butter. But what we’re talking today is “the ride.” You know—there are those games where it’s slow and steady, and then the games where it’s one intense roller coaster ride to either the exit gates of riches or the big drop down into the splash water of deficit. Just Tell Me about Volatility!! The thing to keep in mind is the Volatility Index of a machine does not tell the casino how much money it will earn; the long-term payback does that. 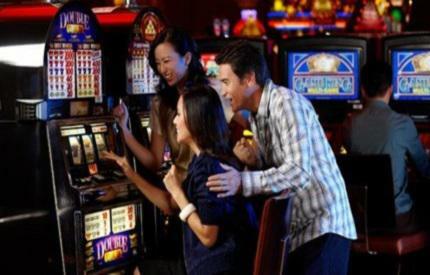 (In Nevada, every digital slots game must have a payback of 85%) What the Volatility Index does is measure how bumpy a ride it will be to that long-term payback percentage. Volatility is the single most important concept to know second only to the long-term payback. Pay attention to the type of wins that you are getting. You may find that what you are ultimately looking for is a nice relaxing 2-hour session, but you are playing a game designed for 10-minute bursts of betting. I’m not really Getting Volatility. Can you Give me an Example? Sure. Let’s consider video poker, which tends to have an extremely high payback percentage—around 97%. Assuming a perfect strategy, if a player puts in $100, in the long term they can expect to get $97 back. A video poker game with a high variance might pay that $97 back by oscillating back and forth with $20-$30 wins with a bunch of losses in between. A game with a low variance might be rewarding more in the range of $5-$10, but more often. Remember, the volatility doesn’t affect how much money you will make, it affects how much money you will typically win for each hand (or spin, etc). So if you are looking to just make one big bet and swing for the fences, pick the slot machine with the highest volatility. So if that is Volatility, what is Variance? When it comes to slots, variance and volatility refer to the same thing. If you still find yourself lost, try thinking of it this way: volatile things tend to blow up, and volatile people tend to blow up. So, think of volatile slot machines like a highly volatile, yet highly attractive girlfriend. Sometimes things are great, and you feel like it’s all worth it, and you’re coming out ahead; sometimes things are very “one step forward, two steps back” and your credit cards are crying out from the abuse.